Welcome to PRIME, International Journal of Aesthetic and Anti-Ageing Medicine. 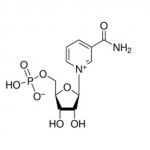 PRIME is the leading scientific journal within this market through quality peer-reviewed editorial, the most engaged and qualified circulation, and leading publication design. PRIME works in partnership with the leading physicians, suppliers and societies to offer timely and valuable content to help educate and inform the aesthetic market. The aesthetic and anti-ageing industry is a global one, and deserves a dedicated International publication — a voice that will not only communicate, but educate, motivate, and inspire you with the latest, most applicable and usable peer-reviewed information you need to do your work smarter, better, and more effectively. This is PRIME‘s mission and our promise to you. PRIME‘s editorial, sales, marketing, and management staff have created the leading international aesthetic and anti-ageing publication; one that provides every aesthetic medical professional and supplier with a more effective communication forum to discuss, understand, implement, and apply the latest applications and technologies shaping the present and future development of the industry. 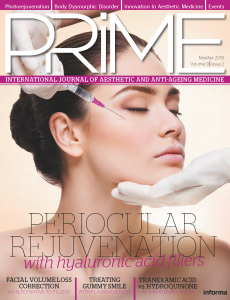 In each issue, PRIME provides you with access to the best peer-reviewed information available to keep you at the cutting edge of the industry, and enable you to provide your patients and clients with the latest techniques and best possible care. Each section of PRIME will go beyond the presentation of just data and examples to examine the issues globally. Practical information and case studies, with useful examples, will allow you to apply what you read to your work. Each article will also be published online on this website (www.prime-journal.com) so that whether you are in your office, at home, or on the road, PRIME will be there for you. We look forward to growing, understanding, learning, and applying everything this remarkable industry has in store for us. If you have not already subscribed to PRIME I would encourage you to do so, to guarantee the journal is delivered to your work or home each month. You can subscribe online today here. We are excited to work with and meet the industry at the leading conferences, and look forward to your contribution and feedback.